On February 19, the Supreme Court heard oral argument in Return Mail, Inc. v. United States Postal Service, No. 17-1594 (U.S.). This case raises an interesting question of statutory interpretation: whether the government is a “person” who may invoke the AIA proceedings to review an issued patent. Under the AIA, “a person who is not the owner of a patent” may petition the PTAB to institute review of that patent in adversarial proceedings, such as inter partes reviews, post-grant reviews, and covered business method reviews. 35 U.S.C. §§ 311(a), 321(a); AIA § 18(a)(1). The AIA itself does not define “person”—whether it would include the government. Patent owner Return Mail challenged the ability of a government agency (the U.S. Postal Service) to petition for covered business method review of its patent before the Patent Office (another government agency). The oral argument demonstrates that several arguments presented in the briefs of Return Mail and amici supporting it have garnered the close attention of the Justices. We summarize three main arguments here. Third, allowing the government to petition for AIA reviews could also lead to the odd situation where one government agency is adverse to another agency in the federal court. A party participating in an AIA review has a statutory right to appeal an adverse decision of the PTAB. Here, had the PTAB upheld the patentability of Return Mail’s patent, the U.S. Postal Service could appeal to the Federal Circuit, and the Patent Office could intervene to defend its decision (as it often does in other appeals from AIA reviews). If so, two Executive Branch agencies would be directly adverse to each other before the federal court. On the other hand, several Justices, including Justice Breyer, appeared to be concerned about interpreting the statute as not allowing the government to petition for AIA reviews as an efficient and cost-effective way to cancel weak patents. Interpreting “person” in the AIA review provisions as excluding the government would place the government in a worse position than private parties. A decision in this case is expected before the end of June. 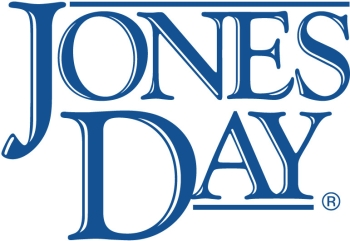 Jones Day - Gregory A. Castanias, Jihong Lou Ph.D. and Daniel Kazhdan Ph.D.